Please Note: I ALSO HAVE PROPERTIES LIKE THIS FOR SALE! ALL UNIT WITH HIGH SPEED INTERNET ACCESS!!!!!!!!! views of the 16th hole of the Dye golf course. 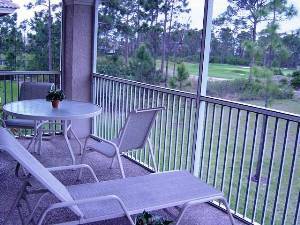 This newer second story end unit is in a gated community with a gorgeous resort pool. The One bedroom studio has two queen size beds and a pull out couch. The second bedroom contains two queen beds and can be locked off from the main villa. It contain a mini frig, microwave oven and coffee maker. 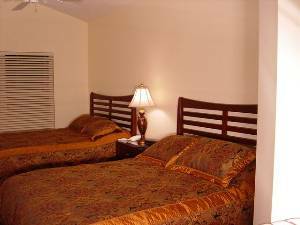 The 2 bedroom villa has everything you'll need for a comfortable stay. This may be rented out as a two bedroom villa or a one bedroom studio, or a one bedroom villa with living room and kitchen. The villa is 1200 sq. ft. living, and 1591 total sq. ft. This luxury Second story villa, has vaulted ceiling and over looks the 10th fair way of the North course. 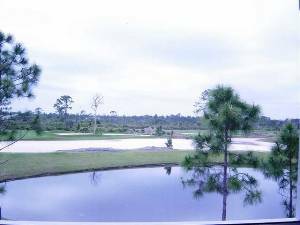 Your end unit is private and is nestled within the native wetlands and impeccable fairways of PGA. The community also has a pool within walking distance of the villa. The studio second bedroom has two double beds with a private patio over looking the golf course. It also is equipped with a mini Refrigerator, coffee maker, iron, ironing board and microwave. Spacious bathroom and separate shower. 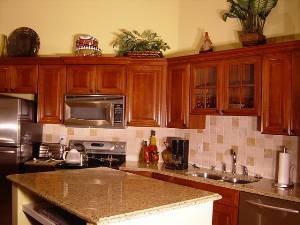 The fully equipped kitchen has everything you'll need. There is also a pullout couch in the living area that sleeps two. at one of the three PGA championship courses you'll enjoy coming home to relax on the screened patio overlooking golf and nature at its best. The villa may be rented as a one or two bedroom. Free chip and putt golf on grounds for all rentors and well as a practice putting green. Castle pines also has a tot lot for children. Historic Downtown Stuart Riverside 20 min. Jensen Beach and Historic area 20 min. New Kitchen, with Granite, stainless steel appliances and cherry wood cabinets. Marble floors through out villa. New wonderful mattress and furniture in master bedroom. Deposit: Rentals require full payment prior to rental, with a $300.00 security deposit. Cancellations and Refunds: 30 day cancellation notice.